Kit includes : Written instructions with photographs which are emailed upon purchase and or postage of kit. 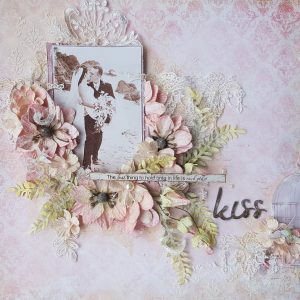 49andMarket Vintage Artistry Paper, Burlap Trim Roll, Blossom Blends Flowers and Floral Mixology miscellaneous Flowers, and Dusty Attic Chipboard Title. Medias are NOT included in this kit. 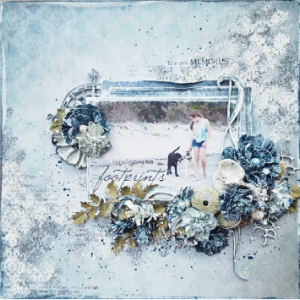 You will need a blue spray and clear and white gesso to complete project.